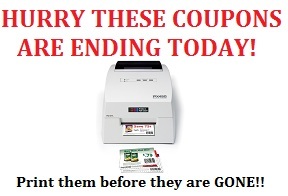 HURRY Print these Coupons before they are gone – END TODAY! You don’t want to miss out on any of these great coupons!! They will no longer be available to print after today 1/31/2013 so don’t wait.